Wow. There are so many potluck festivities ahead. Top (and all over, really): dairy essentials for the next few days of children’s snacks. 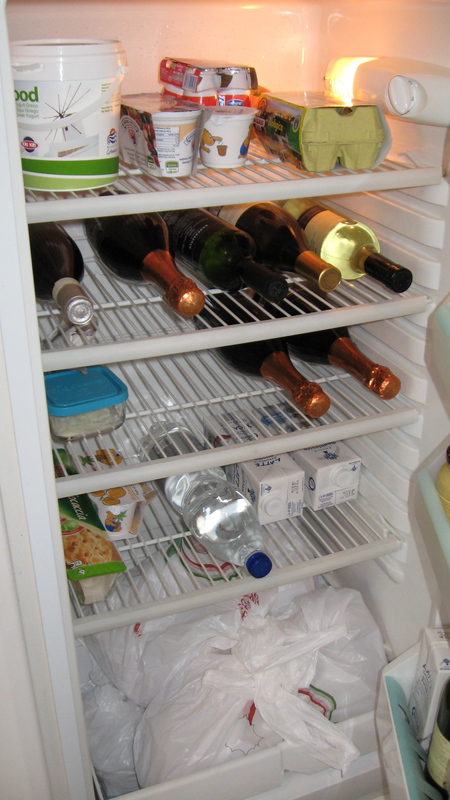 Middle: chilled essentials for the next few days of parents’ drinks. Bottom: six local, hormone- and antibiotic-free chickens ready for roasting.